Quatre, one of Boucheron’s most iconic collections, is reinvented in unique combinations of gold and diamonds. The first jeweller of Place Vendôme draws upon all its savoir-faire to bring these exceptional jewels to life. With its super-graphic style and versatile design, Quatre is the collection for strong and bold personalities. To mark the end of 2017, the bracelets are available in a diamond version. 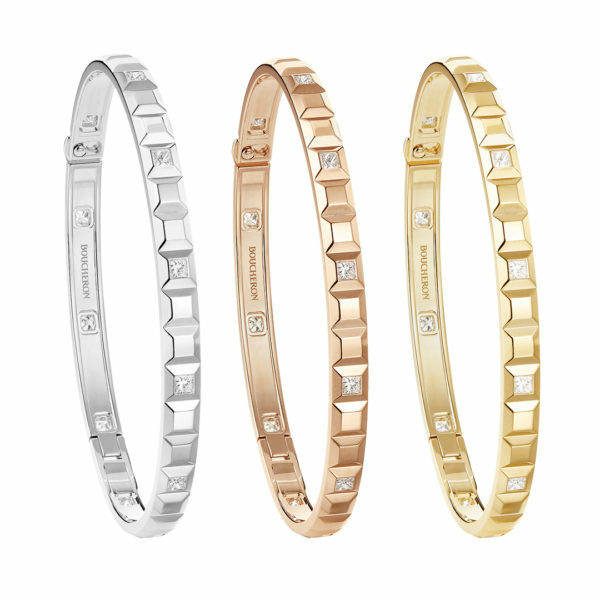 Set within the Clou de Paris motif, the diamonds adorn the bracelet which comes in white, rose or yellow gold. Discover more from the Quatre collection here.